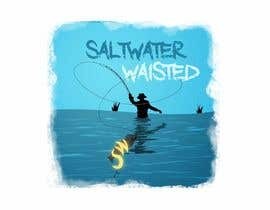 Looking for a fishing shirt design with text of Saltwater Waisted ( Its a play on words I know the difference between wasted and waisted lol.) 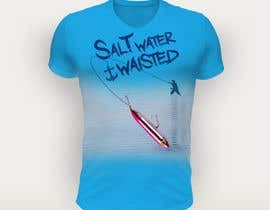 I will be using sublimation to print the shirt so it can be detailed up to picture quality I have thought of something like a fisherman wadding in waist deep water casting toward me with a bright colored topwater fishing lure about to land in the water right in front of me. So the fisherman would be in the background with the lure in the foreground. I would like a cool font, but easily readable. 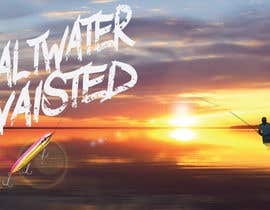 I found a font called dark water, but it does not have to be that font just something that appears to be wasting/rusting away. I want it editable for at least size and color. Picture of blue sky with silhouette of fisherman is a good color scheme, water, and background just need the silhouetted fisherman in the background in waist deep water casting toward the camera like the picture of the fly fisherman. 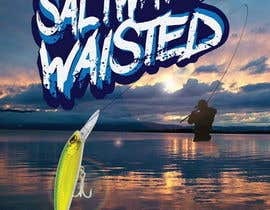 The picture of the lure shows how I would like the lure close to the front, but needs the silhouetted fisherman in the background. I don't want the lure in the water. 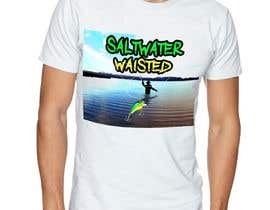 The logo for the front should be less detailed, Something that can be cutout on a vinyl cutter but at least contain an SW (for Saltwater Waisted) with the S having a fishing hook barb Incorporated in it These are just ideas I came up with not a set in stone design. I am on this website because I'm not the most creative person so do what you can do to improve on my thoughts or submit something completely different . 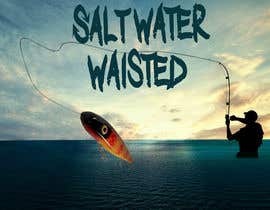 I need it editable also Maybe the same type of top water lure Incorporated into the front logo. I will be looking for other designs after this one is in production. 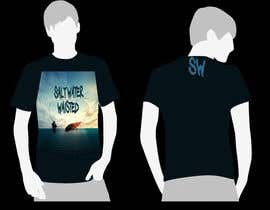 For pressing purposes the design for the shirts should be 10.5 inchs x14 inches, but I would like to be able to enlarge if needed. 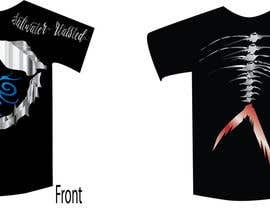 I will be looking for other designs that are vector for other shirts after this shirt is in production. And the fisherman needs to be casting not setting the hook like in the picture., but this is the closest to layout i can find as an example. 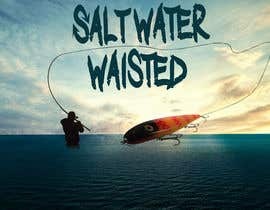 Okay after alot of searching I found a picture that is oriented the way I would like the design with the fisherman in the background casting and the lure close to the camera. 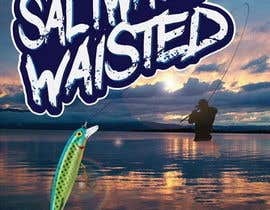 I want the fisherman top be waist deap in the water not on a boat and he can be either completely silhouetted or close with a saltwater bay background. 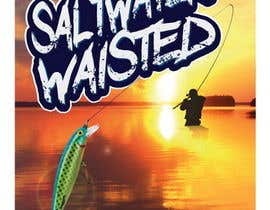 I don't want the fish just the lure about to land in the water and the lure to be a bright color saltwater topwater lure. Eslamanwa, Your closest to what I'm looking for. 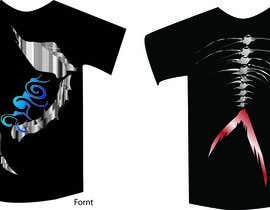 It can not cover the the whole shirt so must be limited to the upper half of the shirt. I like the background. The fisherman needs to be further in the background casting toward the foreground so it looks like the lure is going to land right in front of me. I want the lure still in the air about to hit the water and the lure will be the a bright yellow, pink, or green. 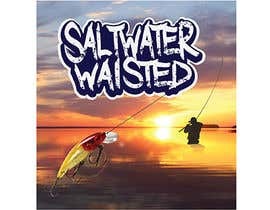 The fisherman in the background should smaller than the lure because he will be further away. I think having the fisherman in the background will also allow you to make the image narrower. 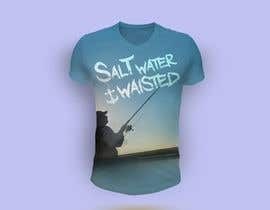 Think of it like the camera is sitting toward the front of the shirt and it is sitting almost in the water taking a picture of a fisherman that is casting toward the camera and the picture is taken just before the brightly colored lure hits the water. The fisherman can be slightly right of the center camera with the lure about to land slightly left of the camera. Check #4, read the description and tell me if you want any changes please. 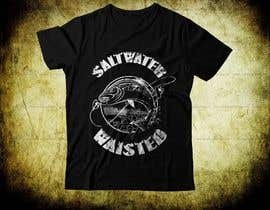 I'm looking for more of a picture quality or close to picture quality type of design.